It will have been 11 days since the Petes the played their last game when they arrive in Guelph to take on the Storm for the first time this season on Thursday. The maroon and white are hitting the reset button after a tough few weeks heading into the break. 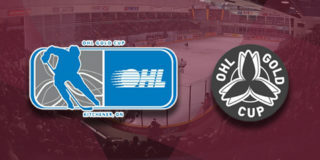 The Petes gave up all three games in their final weekend of the first half, ending with a 5-2 loss to the Eastern Conference-leading Hamilton Bulldogs on December 17. The Storm were also handed a loss that day, falling 6-1 to the Oshawa Generals. The cross-conference clubs face each other just twice a year, each hosting a single home game. Just 8 of Peterborough’s final 34 regular season games are against Western Conference opponents, whom the Petes have compiled a 3-8-1-0 record against in the front half of the season. The teams each won a game against each other in the 2016-17 campaign, but the Storm hold the upper hand over the past five years with a 6-1-0-1 record. The Storm are led by sophomore defenceman Ryan Merkley. 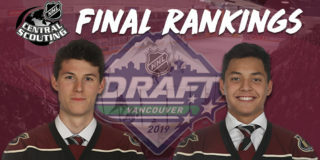 The projected 2018 NHL Entry Draft first-round pick has registered 10 goals, 32 assists, and 42 points in 33 games. He leads the league in power play assists (20), and sits third in total assists. Guelph’s roster also features Peterborough native Cedric Ralph, who is tied for second in the OHL in game winning goals (5). Another league leader on the Storm roster is Cam Hillis, who leads league rookie scoring with 14 goals, 15 assists, and 29 points in 33 games. Nikita Korostelev and Pavel Gogolev held the hottest sticks heading into the break. Korostelev has recorded points in 9 of his last 10 games (5 goals, 10 assists, 15 points), while Gogolev has points in 6 of his last 8 appearances (5 goals, 4 assists, 9 points). Jonathan Ang continues to sit atop team scoring stats, with 15 goals, 23 assists, and 38 points in 33 games. In net for the Storm, Belleville native Anthony Popovich has played the most games of any OHL goaltender this season. He’s seen action in 29 of Guelph’s 33 games, and has earned a respectable .904 save percentage and 16-10-1-1 record. A rare occurrence, each team’s leading scorer also leads in penalty minutes – Merkley has acquired 34 PIMs to Ang’s 67. 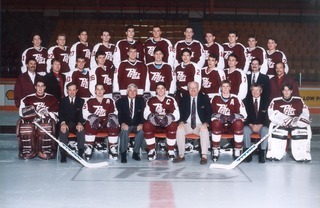 The game marks the first time the Petes will see face former assistant coach Jake Grimes in regular season action. The men in maroon will return to the PMC ice on Saturday, December 30 at 7:05pm for a rematch with the Ottawa 67’s in their final home game of 2017. Game tickets are available starting at $8 through the Collins Barrow PMC Box Office, online, or by phone at (705) 743-3561.